Today, we are presenting another interesting find : two previously unknown pictures from a police archive which was taken during the raid of Franz Bardon’s laboratory after he was arrested. 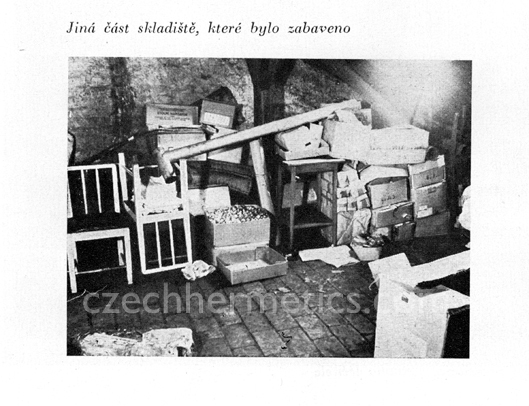 These pictures resurfaced in an obscure and widely unknown communist propaganda book that was aimed to discredit alternative medicine and healers at the time, called O Zazracich a nadprirozenych silach (About Miracles and Supernatural Forces), published in 1961. 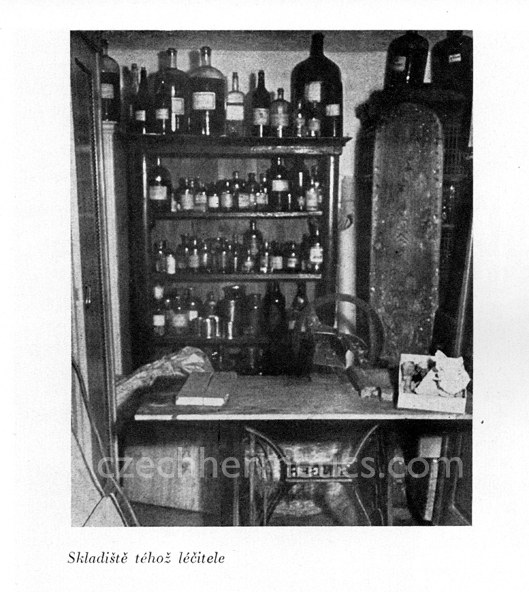 There is a full page picture in the book of Bardon’s Frabato poster, which is followed by the pictures from the police archive, with a caption stating that this picture shows the parts of a confiscated stock room of the named healer (Bardon).